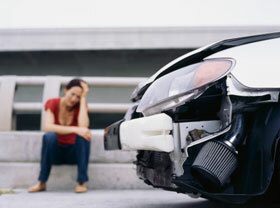 There are 3 million new whiplash injuries every year in the United States. Whiplash can occur at very low collision speeds and with what appears to be minimal damage to the vehicles. A study performed by McConnel etal. demonstrated that injuries were possible at speeds of 6-8 kmph(3.7-5mph) and can produce up to 4.5G of force to the neck. Symptoms can include stiffness and pain, headaches, loss of motion, pain into the arms or legs, along with pain in other areas of the spine along with injuries in the arms and legs. Often symptoms may be slow to occur or seem mild initially only to progressively worsen. It’s always a good idea to be evaluated following any collision. Dr. Waggoner DC has had training from the Spine Research Institute of San Diego in Whiplash Injury Biomechanics and Traumatology. He has completed additional training in Crash Investigation and Vehicle Dynamics from Northwestern Universities Center for Public Safety and is enrolled in Traffic Crash Reconstruction classes. Understanding of the forces and direction of the crash helps guide what treatments may work best for your injuries. We will utilize chiropractic, physiotherapuetics, exercises, and possibly acupuncture to treat your injuries. If needed we will refer for MRI, pain management, or orthopedic/neurolsurgical treatment.